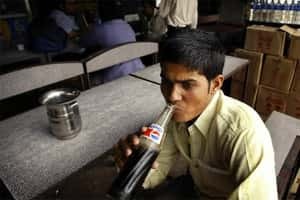 Bangalore: The size of the non-alcoholic beverages market in India is likely to reach the ₹ 11,000 crore-mark by 2015, industry body Assocham said on Wednesday. Growing at a CAGR of about 20%, the non-alcoholic beverages sector is currently worth about ₹ 6,000 crore, according to a study on ‘Opportunities in the Indian Non-Alcoholic Beverages Market´ by the Associated Chambers of Commerce and Industry of India (Assocham). The non-alcoholic beverages industry includes carbonated beverages, sparkling beverages, still beverages like distilled water, fruit juices, fruit-based drinks, energy and sports drinks, sodas, hot beverages like tea and coffee and other drinks that have no alcohol content. As part of the study, Assocham analysed returns on sales, investment, expenses, turnover and working capital management ratios and interacted with representatives of about 70 companies operating in the non-alcoholic beverages segment. “Emerging wellness trends, higher expenditure for healthy lifestyle by India’s rising middle class and overall strong domestic economy are certain key factors driving the non-alcoholic beverage market in India," said Rawat. Coca-Cola, Pepsico, Parle Agro Pvt Ltd, Dabur and Godrej are among the leading players in the domestic non-alcoholic beverage circuit, highlights the Assocham study. Carbonated or aerated drinks account for about 30% of the total non-alcoholic beverages market in the country. The size of the segment is currently estimated at about ₹ 1,800 crore, while the value of the fruit drink segment is estimated at about ₹ 1,200 crore and the energy drinks market is worth about ₹ 600 crore.